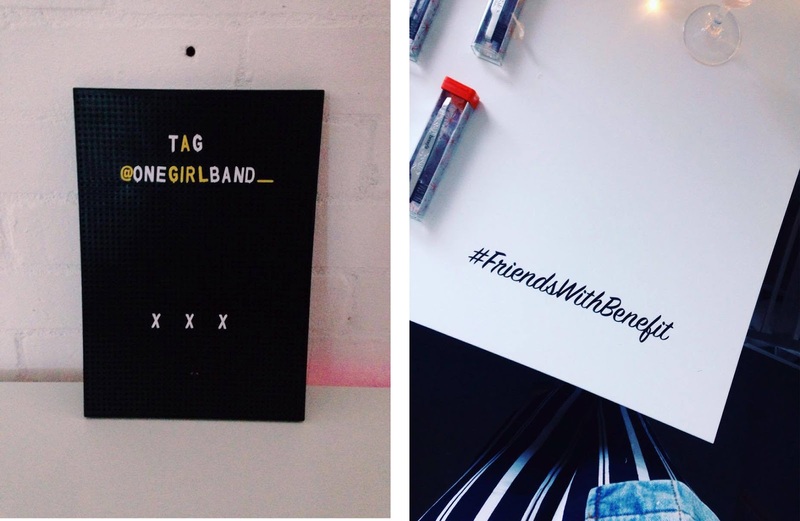 I promise It’s not what it sounds like… #friendswithbenefit was an event held at the One Girl Band space in Brighton for bloggers and creative entrepreneurs last week. The evening was hosted by Benefit Cosmetics, Lola Hoad from OGB and Tashie Tinks, with free bubbly, sweet stand and complementary brow services it was a lovely evening full of pampering and inspirational women. One Girl Band is a collective where women can support and nurture one another with no judgement and the space is owned by the lovely Lola Hoad. As well as using her space to run workshops empowering and connecting women, she creates beautiful paper goods for her Brighton based business; LH Designs. 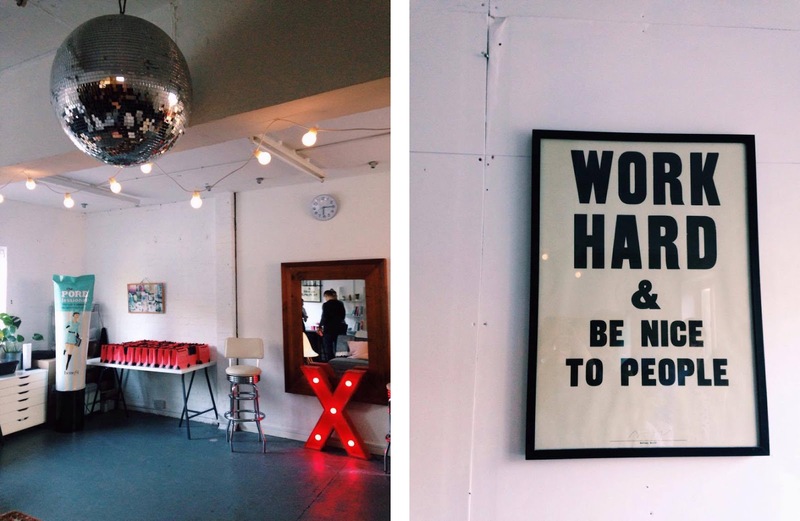 Her office space is unbelievably aesthetically pleasing, making it the perfect venue for Benefit to host their evening. 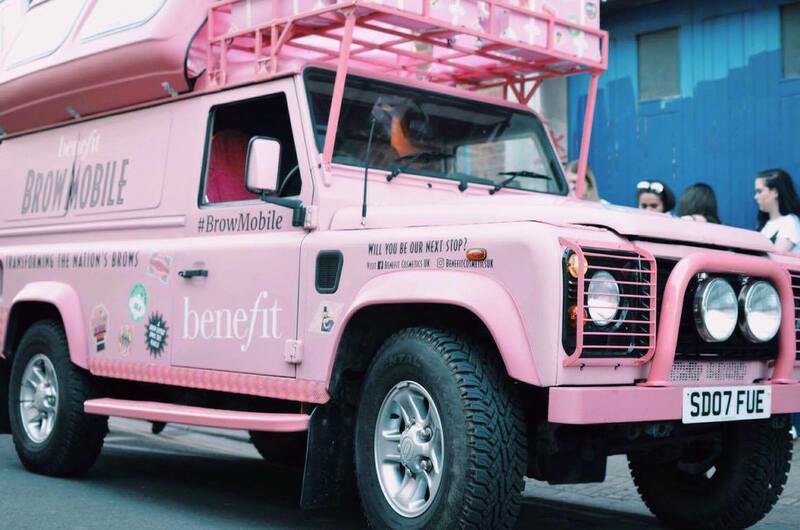 Benefit’s adorable #BrowMobile made an appearance after spending the day on Brighton Beach bringing fabulous brow tips, products and services to the city. We got to have a sneak peak inside and browse through the brow range before heading back up to hear from Lola and Tashie Tinks. Even though I’ve recently converted to having my brows threaded I wasn’t going to turn down the chance to have my eyebrows done by the lovely Benefit make up artists. The experience I had with Benefit’s waxing was so much better than any waxing I’ve had before. Anyone else end up with streaming eyes and bright red skin under their brows after having them waxed? Yep, I feel you! My combination of sensitive skin and irritable eyes makes waxing an unpleasant experience, but the products used on my brows were soft and gentle making it a much easier experience to go through. I first had a tint applied to bring out some of the finer hairs, which made my brows nice and bushy and better to style with. Then gently waxed and plucked, followed by being sorted out with Benefit’s Ka-Brow! and finally being set with Ready, Set, Brow! You can see the final outcome of my #BenefitBrows in the photo below, although as soon as it came to filling them in myself the next day I couldn’t get them anywhere near as nice as @lauren_benefit did them for me… typical! 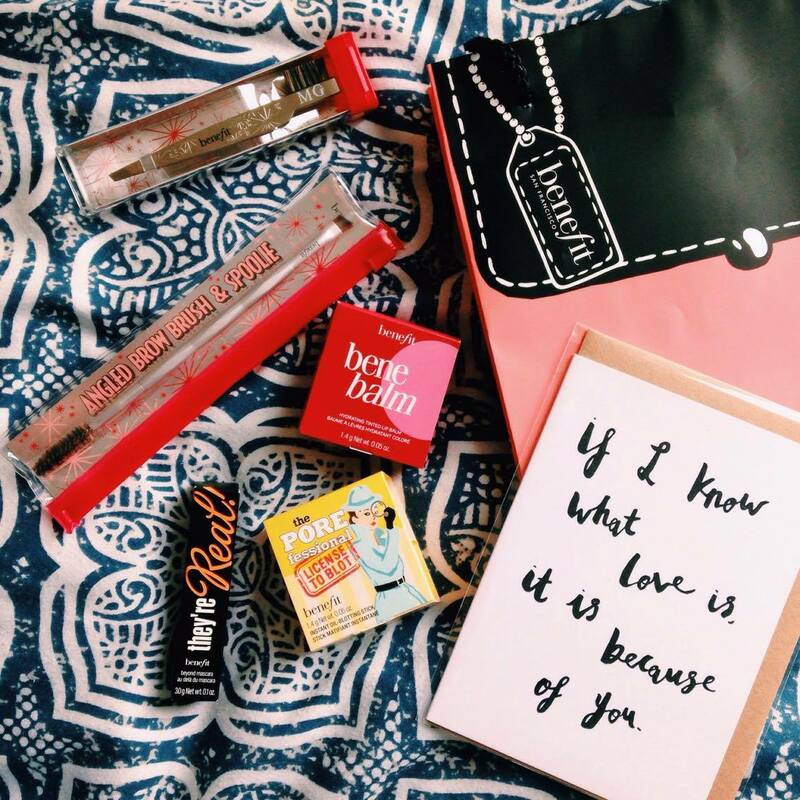 We were also spoilt with these amazing goody bags, filled with mini Benefit products, our personalised tweezers and a LH Designs card. I’m looking forward to trying POREfessional License to Blot, as I am yet to try this product but can’t live without my POREfessional Primer so I have high hopes that this product will work wonders! I’ve blogged about some of my favourite Benefit products before so to see what else I have tried, tested and loved check out my Benefit Holiday Make-up Bag post. 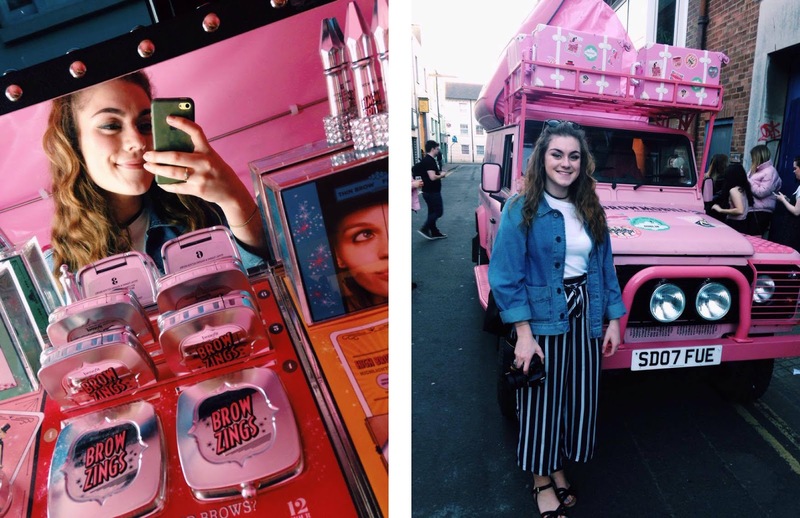 A huge thank you to the wonderful Benefit team for a wonderful evening, Lola Hoad for a talk full of good raw advice and the inspiration to keep on going, and also to Tashie Tinks for sharing her tips on content ideas, social media and all round blogging and YouTube business! 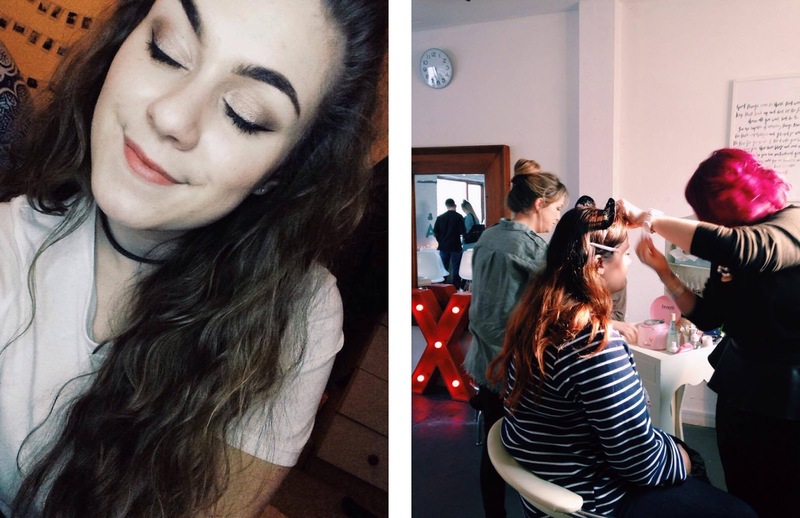 It was lovely to meet lots of other bloggers and creative young people making and doing some incredible things.